Sometimes a needle and thread is all you need! 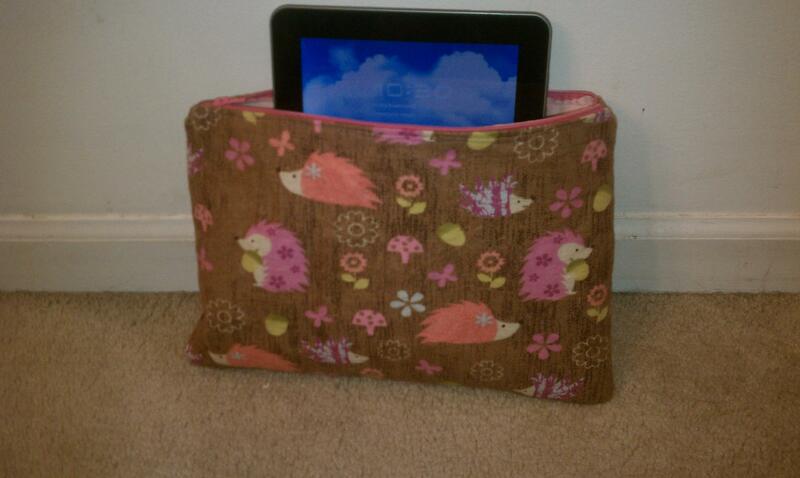 Today I worked on making my own cover/pouch for my Samsung Galaxy Tablet. I searched the internet for a pattern, but there weren’t many to make one with a zipper. 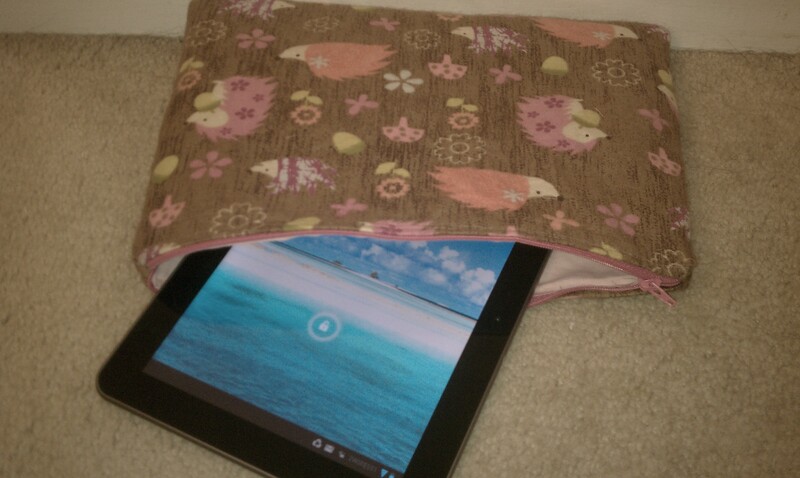 I found hundreds for an Ipad case, but I have a Galaxy Tablet and it’s just slightly bigger. I decided to take my own measurements and see how it turned out. I think over the next few weeks I’ll continue working on it until I have it down to exactly how I want it. Mine turned out slightly taller than it needed to be so I will definitely shrink it down a bit! On Black Friday I went to JoAnn Fabrics and got some amazing flannel print fabrics for burp cloths, but couldn’t help myself and used one of them today! For now here is the outcome of my adventure!! !